Imported by Wine Cellars LTD., Briarcliff Manor NY. Sapphire. 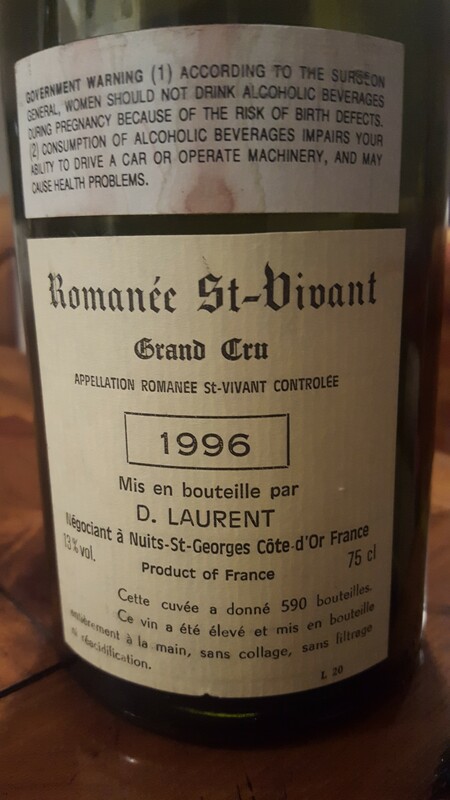 In a vertical the ’96 stands out as distinctive and inferential: nothing’s really leafing out yet but everything wanting to. Purple lilac and rose hips and russet associations. Intricate sublimity in dew form and the finish shimmers like a blue moon rising. Only 590 bottles produced in ’96. Now – 2025+.